Kollur, a small temple in Karnataka is famous for Mookambika temple and Kodachadri Peak. Know about Kollur, sightseeing and its mythology. 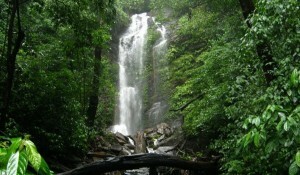 The Kodachadri hill range is a part of the Western Ghats and lies 115 km from the Shimoga district. It is considered that the Kodachadri Hill was the original abode of the Goddess, before Sri Adi Shankara had the idol of the Goddess installed at the Kollur Temple.